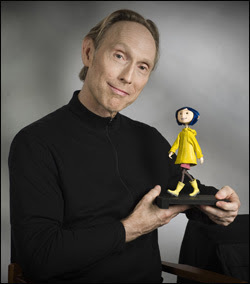 And last night I got to see Henry Selick talk about CORALINE! Ya gotta love ASIFA HOLLYWOOD putting on free screenings with the directors there to talk about them! Best deal in town! 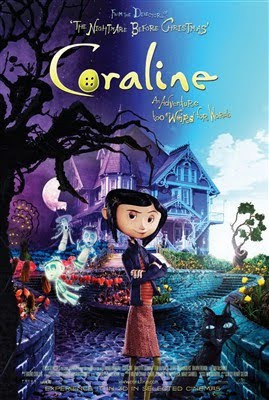 This was actually my first time seeing Coraline. I hadn't read the book, so I didn't know what to expect save for what I had seen in the trailers. And I liked it. Wasn't in love... but visually it was stunning. I spent a lot of time being stupamafyed at what they had accomplished with stop motion-- which isn't necessarily a good thing since it kinda took me out of the story a bunch of times. But still, the movie was quite an accomplishment. And after the credits roll there's a time lapse sequence of a really complicated scene before they digitally took out all the rigging and stuff-- massively cool. • Mr. Selick originally got the book from writer Neil Gaiman's agent ages before it got published... apparently he was having trouble getting a publisher to pick it up because it was thought to be too scary for children. This same problem occurred once they tried to find someone to make the movie. So they were already developing the film when the book eventually came out and became a best seller. • When bigshot producer Bill Mechanic came onboard, he had a previous deal with a company that said he couldn't do any animated projects. So they originally went around town pretending Coraline would be a live-action film until the deal was up. • Mr. Selick's development process includes a lot of 'scrapbooking and sketching'. For instance, the Other Mom's spy doll idea (which was not in the book) came from an old obituary Mr. Selick found with a picture of a girl with a doll that looked just liked her. He thought it was weird and fit the story so he cut it out and saved it. • Ron Eng brought up that when you're designing sound for live action films, you spend most of your time trying to hide bad recording on the production track, but in animation you get to create a whole world from scratch. • Also regarding sound, Mr. Selick said that they tried very hard "not to add too many spices to the stew" and keep it very simple and sparse, especially in the 'real' boring world. • When asked about the advancements in stop motion since The Nightmare Before Christmas, he said that while animating on TNBC they were able to save TWO frames of animation. But on Coraline they could save entire scenes. Which was amazing, but it caused a lot of "navel gazing"-- where animators would constantly refer back to what they had shot instead of forging onward to get the scene done. • Another big advancement was the use of 3-D printers that could carve actual heads from computer models. This allowed for even more intricate facial expressions. • After trying out hundreds of musical ideas for the movie, they found that the soundtrack to the documentary Winged Migration worked amazingly well. It was both "dark and light" and represented "true childhood.... not syrupy sweet stuff". So they brought the composer Bruno Coulais on. • My question to Mr. Selick was "What sequence, or sequences, almost killed you?" The answer was that before any sequences had a chance to kill him, trying to get financing had already done the deed. But once that was taken care of, the garden blossoming into Coraline's face was a killer as was the sequence when the Other Mother turned the room into a spider web. They had to fabricate a 20 foot steel spiral that could bounce and still allow the animators to reach in and do their thing. • Another fun anecdote came from recording the famous English duo of French and Saunders as the two old actresses who live beneath Coraline. Mr. Selick had flown out to England to record them and after hours of recording knew that what he got was "good... but not great". So, after much internal deliberation, he suggested that they switch characters... which almost instantly made the characters roar to life. • When asked about how much of the film "actually existed" and how much was CG, Mr. Selick guessed around the 90% mark. He seemed uncomfortable talking about when they used CG in the film... which I assume is a stop motion animators point of pride. CG can feel like 'cheating'. 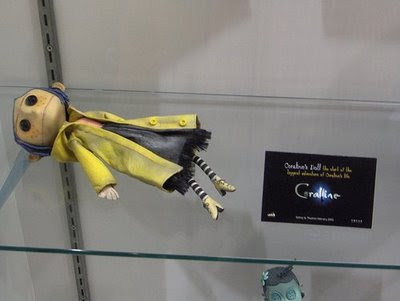 So I googled it and found out that it was in reference to Coraline throwing her shoes at Whyborn and calling him a jerk wad. 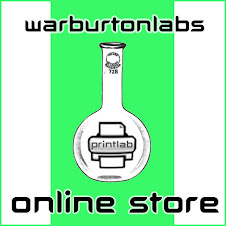 If you dig around on the Coraline website and typed in 'jerk wad' you could win a pair of shoes. Obviously there was more things said, and more lyrically described. 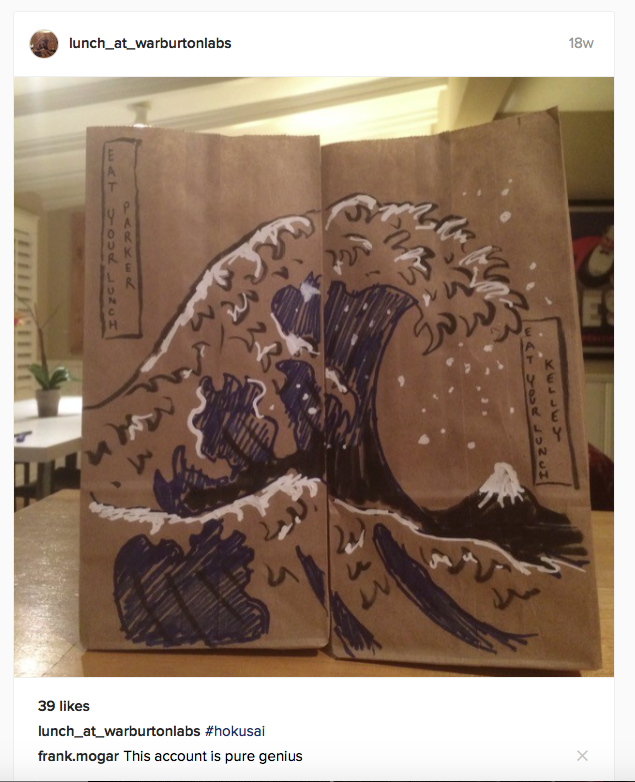 But this is what you get for not being there. As I said before... ya gotta love ASIFA HOLLYWOOD for putting on this stuff! But then again, you know I'm always down with ASIFA, be it East or West.